Highlights of Wales' international friendly against Spain at the Principality stadium in Cardiff. Spain warmed up for their Nations League clash with England with a silky 4-1 friendly win over Wales, who were without Gareth Bale. This was Ryan Giggs' biggest test of his managerial career but without his Real Madrid superstar - who was missing with a groin problem - they were second best as Paco Alcacer netted twice (8 & 29) while Sergio Ramos (19) and Marc Bartra (74) also headed home. Sam Vokes (89) scored a late consolation for the hosts, who now have to gather themselves for an important Nations League clash with the Republic of Ireland on Tuesday amid doubts about the fitness of Bale and Ethan Ampadu, who limped off with a knee injury. Spain boss Luis Enrique has now overseen three impressive victories since taking charge after the World Cup, registering wins over England at Wembley, Croatia and now Wales. It also means Spain have suffered just one defeat in their last 27 matches - and that defeat came on penalties to Russia in the last 16 of the World Cup. 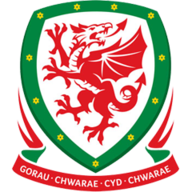 Wales: Hennessey (5), Gunter (5), B Davies (6), A Williams (4), C Roberts (5), John (5), Allen (5), Ampadu (5), Wilson (6), Ramsey (6), Vokes (6). The young Welsh players were in awe of their opponents in the early stages as they stood off and admired the passing talents of the Spanish midfield. It took just seven minutes for Spain to punish their hosts. A ball in from the right was punched clear by Wayne Hennessey but Spain recycled the ball quickly into Alcacer, who made half a yard and curled a fantastic effort into the top corner. Alvaro Morata and David de Gea both started for Spain while Ryan Giggs lined Wales up in a 5-3-1-1 with Sam Vokes leading the line. Connor Roberts and Declan John played as wing-backs while Ethan Ampadu was given a chance to shine in the middle of midfield. There was little Wales could've done with the first but the second goal was all down to sloppy defending. Giggs' side decided to put four men to in a defensive wall which left them short of numbers in the middle. Suso clipped a free-kick into the middle of the area and Ramos had four yards of space to move into and subsequently find the bottom corner with a precise header. Two became three before the half-hour mark as the scoreline had the potential to become embarrassing. Joe Allen and Harry Wilson both attacked the same loose ball inside the area and only ended up deflecting it to Alcacer who volleyed home his second goal from 12 yards. Giggs sent on in-form Bournemouth man David Brooks in the second half which livened up Wales in attack - however, defensively, they were always vulnerable to Spain's prowess in the final third. Alcacer headed over a presentable opportunity for his hat-trick while Alvaro Morata thundered a close-range header wide. 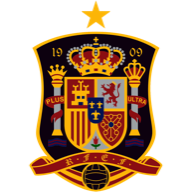 Spain recorded their second headed goal of the evening when substitute Bartra looped a clever effort into the top corner from a left-wing corner. But that wasn't the end of the scoring as the impressive Brooks sent in a clever cross with the outside of his boot and Vokes forced a header home to send the locals home slightly happier. The way in which Alcacer took his first goal summed up just how red hot he is in front of goal at the moment. Since leaving Barcelona for Borussia Dortmund this summer, the striker has scored seven goals, rekindling his form from his time with Valencia, which triggered the move to Barca. He was alive to everything Spain conjured up in the final third, linking well with Morata and finishing both his goals with a great mix of ruthlessness and quality. Wales conceded 4+ goals in a home game for the first time since October 2006, when they lost 5-1 against Slovakia. Wales have won just one of their six previous meetings with Spain (D2 L3). Spain are unbeaten in their last 27 matches in all competitions (W18 D9), scoring 80 goals in this run. Vokes has been directly involved in five goals in his last four games for Wales (3 goals, 2 assists). "When you come up against a really good team and don't do the basics right, you're in trouble. "There was so many mistakes - we conceded some poor goals. To concede that early against this team so early, you're up against it and you have to chase." 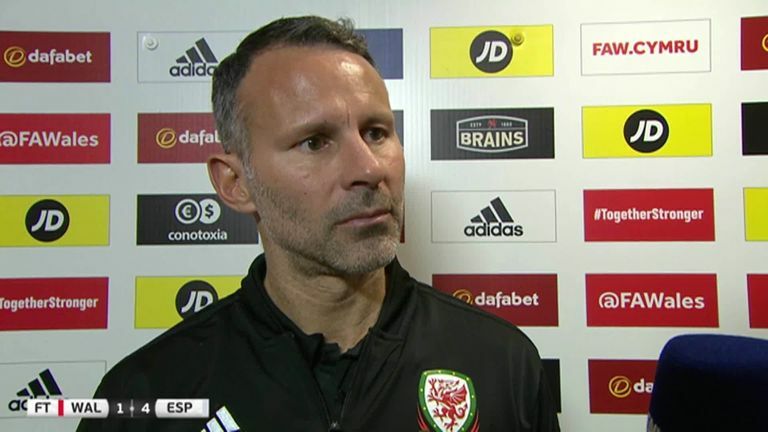 Ryan Giggs reacted to Wales’ 4-1 defeat to Spain and felt his young Wales players’ were taught a lesson by the former world champions. Spain host England on Monday in the Nations League, live on Sky Sports, while Wales travel to Dublin to take on the Republic of Ireland on Tuesday, also live on Sky Sports.